This spectacularly sized property offers both traditional elements and modern living facilities. 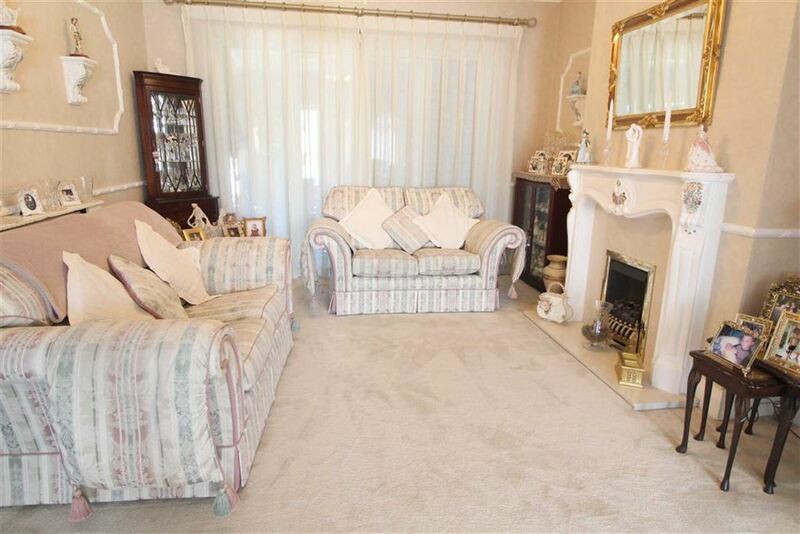 The current owners have extensively altered and extended the property and it is ideal for family living. 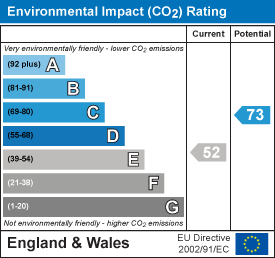 The property has the benefit of gas central heating and PVC double glazing. Approached across a large block paved parking area for several cars, an Entrance Porch leads to a central Entrance Hall, open plan Living Room & Sitting Room, Dining Room, large Kitchen and Breakfast Area, Sun Room overlooking the magnificent rear garden, Utitity Room /WC. 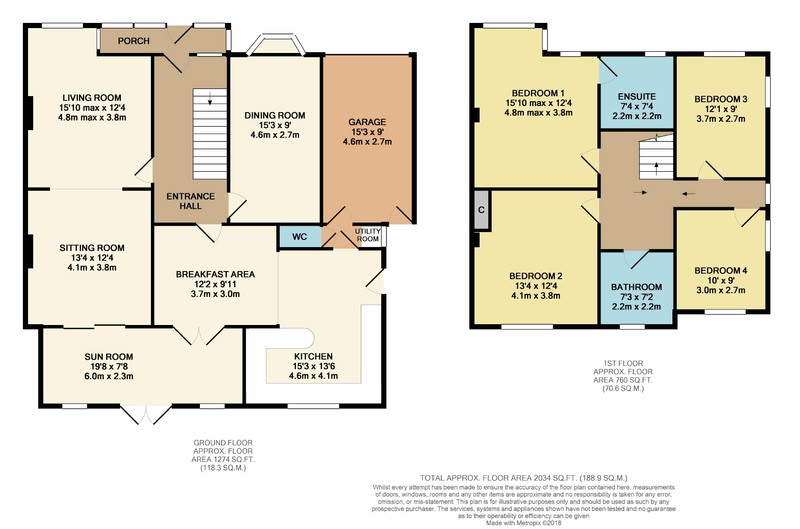 To the first floor, a Master Bedroom has an en-suite Shower Room, 3 further good sized bedrooms (2 overlooking the rear garden) and a family Bathroom. 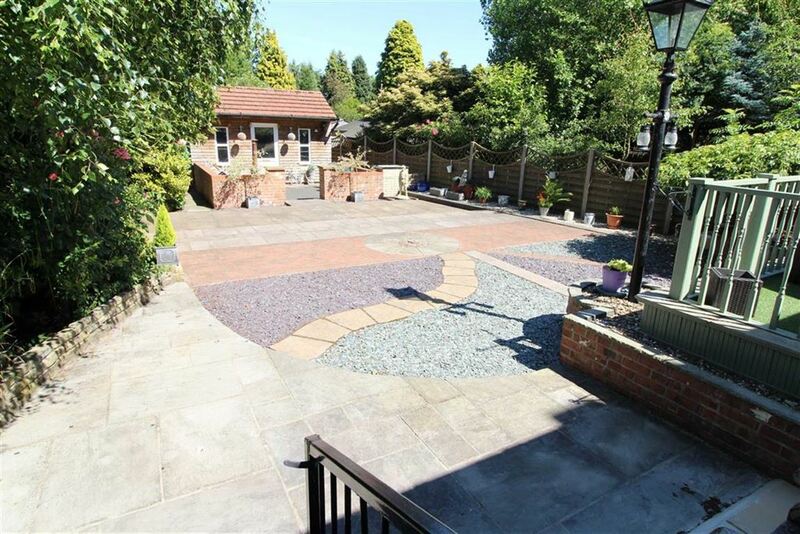 Externally, there is an integral Garage and a large landscaped rear garden with elevated balcony/patio and summerhouse with entertainment area as main features. 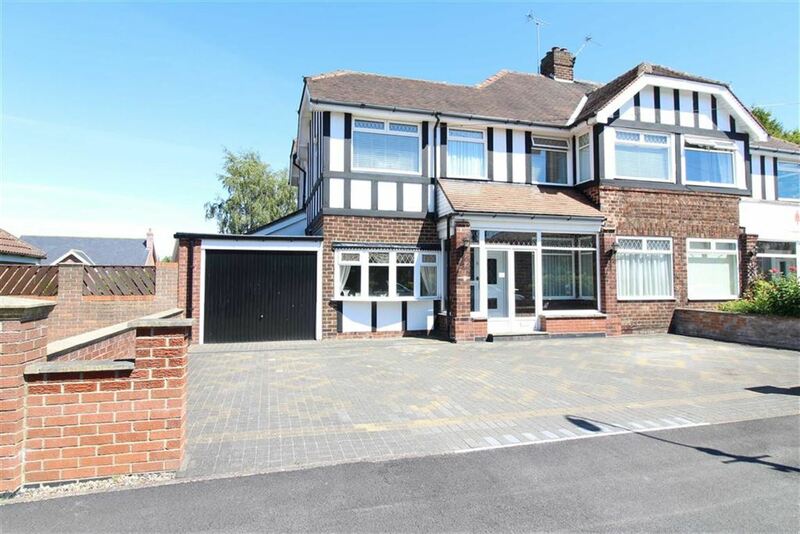 We highly recommend viewing this large home located within a highly desirable residential road. 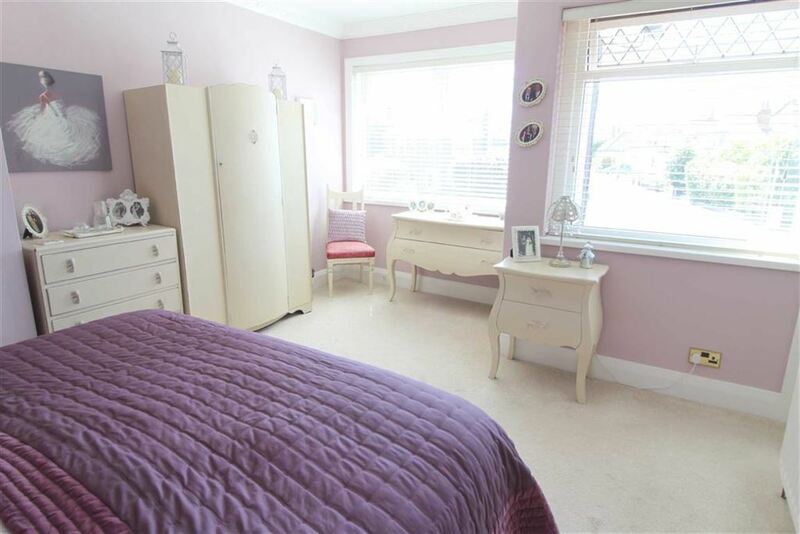 With under stair cupboard & radiator and staircase offering access to the first floor. 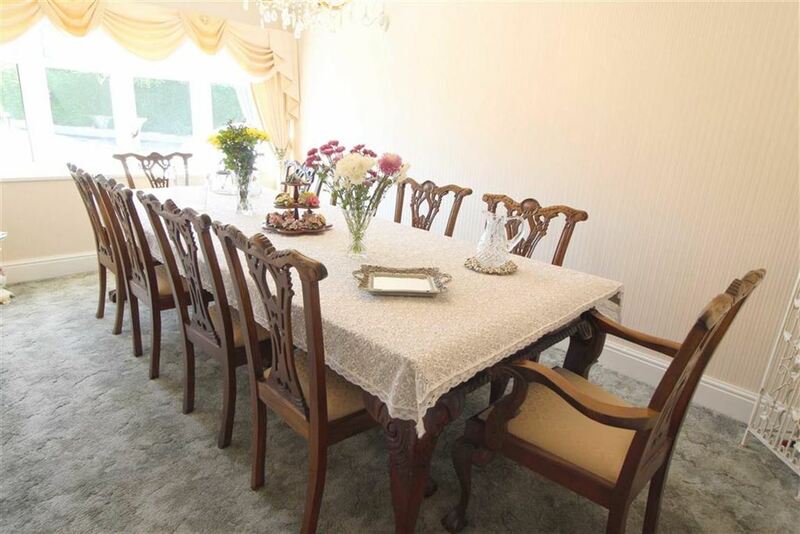 Added by the current owners, this versatile Reception Room overlooks the rear garden. 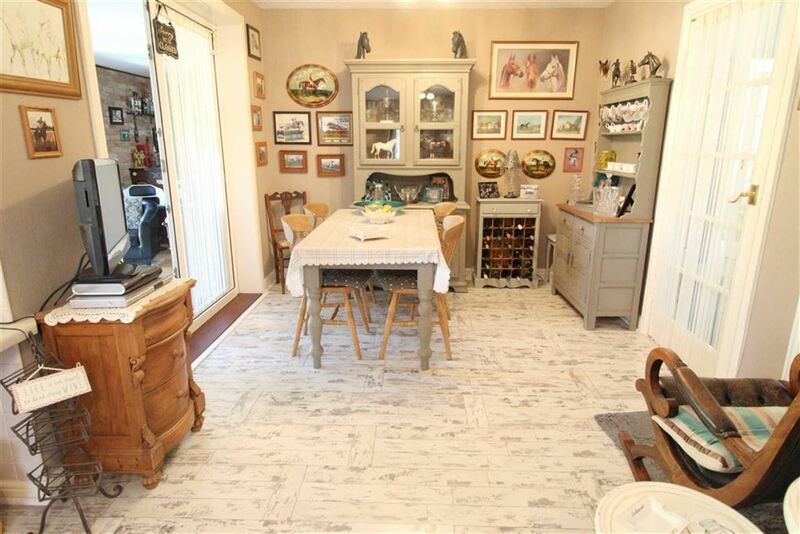 With polished floorboards, fitted bar, black finish traditional radiator and french doors leading to a balcony. 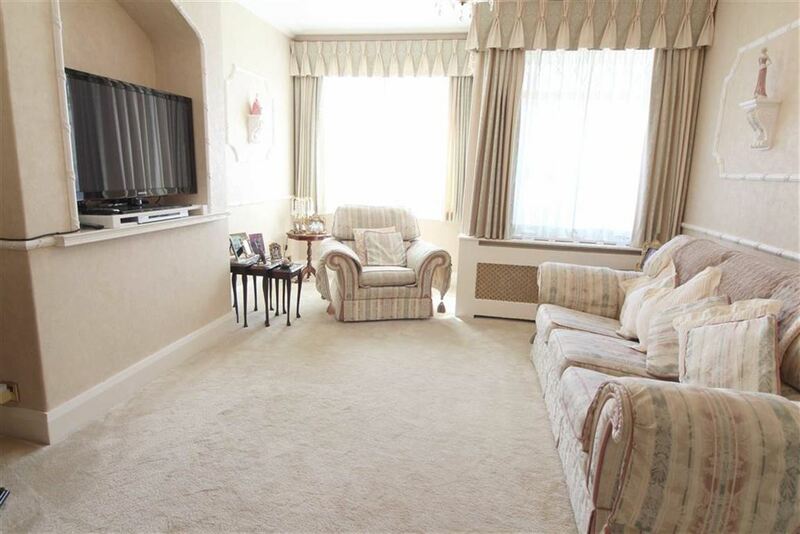 A perfect entertainment room with box bay window and radiator. 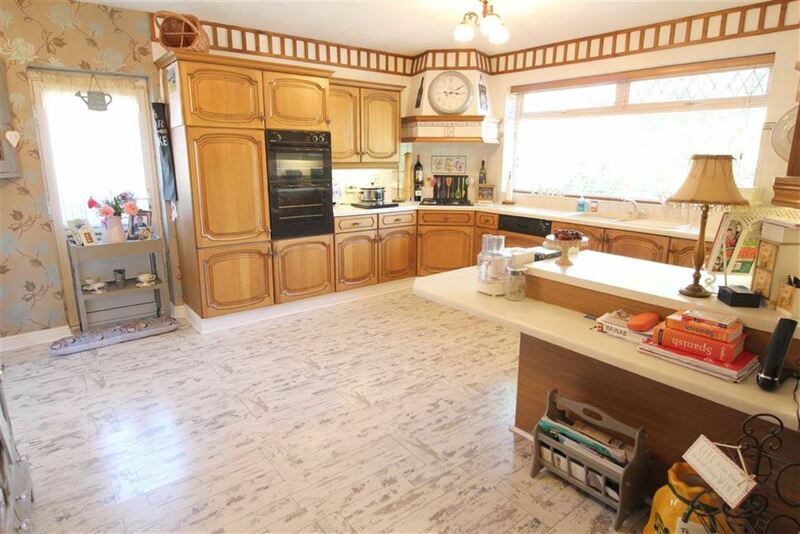 This large well fitted kitchen offers a comprehensive range of wood fronted floor and wall units, work surfaces and breakfast bar with integrated appliances including "Stoves" double electric oven/grill, "Stoves" gas hob unit, extractor hood, "Ignis" dishwasher, "Beko" freezer and "Phillips Whirlpool" refrigerator; 1.5 bowl sink unit, ash effect laminated wood flooring. Very well designed Utility Area with granite work surface and under mounted stainless steel half sink, plumbed for washing machine, wall mounted central heating unit. Access doors to a separate WC and the Garage. A most interesting staircase with half landing area extra stairs access to both wings of the property. Incorporates cream suite with plumbed shower enclosure, vanity wash hand basin, low flush WC, ceramic tiled floor, radiator. Overlooks the rear garden. Has fitted cupboard, radiator. 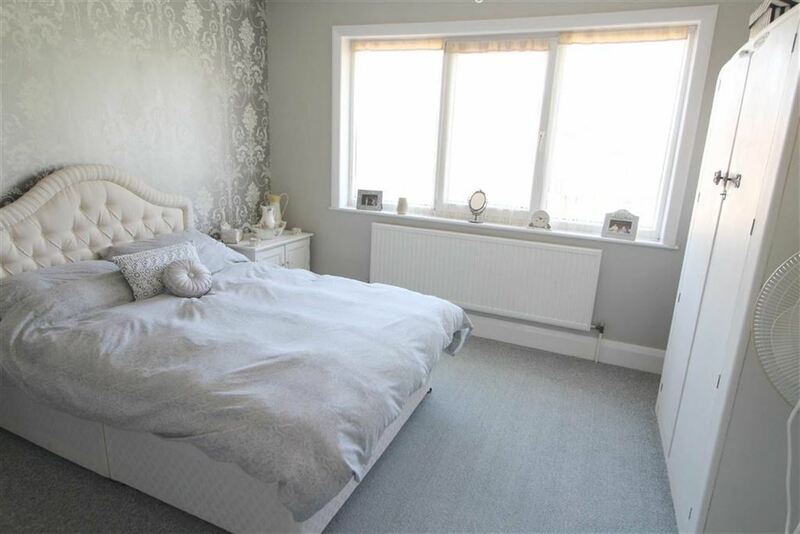 A bright Bedroom with windows to two elevations, laminated wood flooring, radiator. 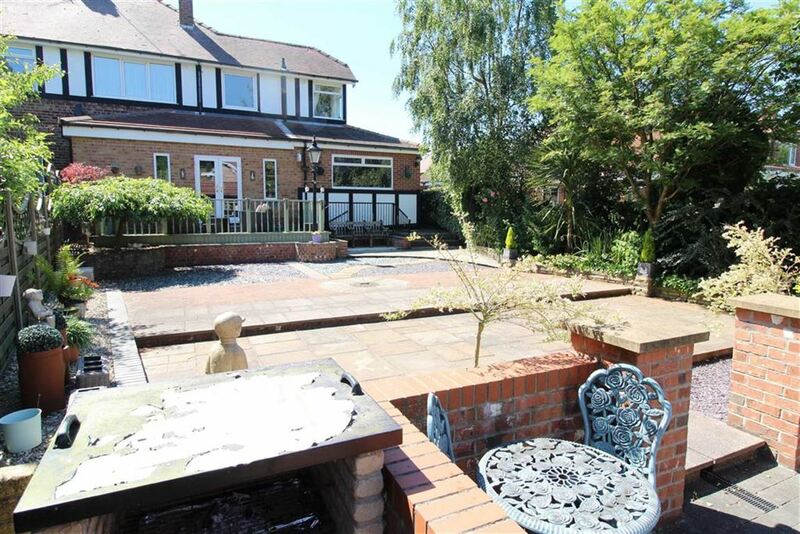 Overlooks the rear garden and has windows to two elevations, radiator. 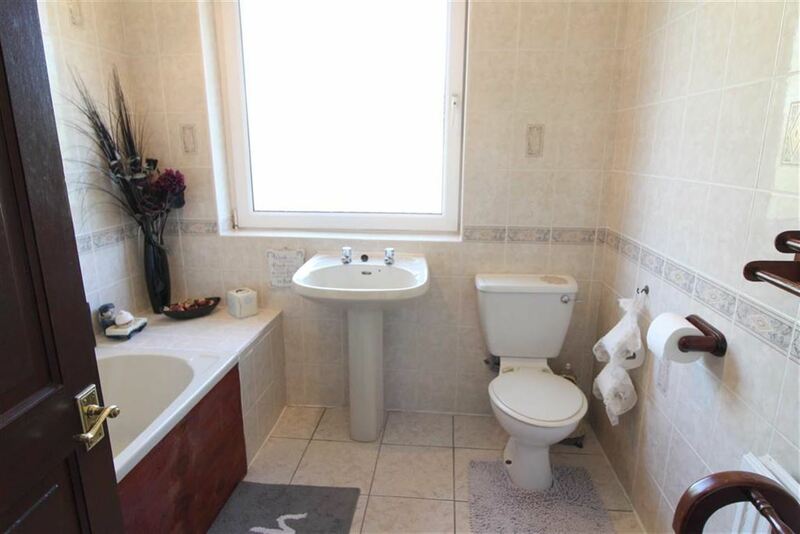 With ivory suite incorporating panelled bath with shower unit above & shower screen, pedestal wash hand basin, low flush WC, ceramic tiled floor, tiled walls, radiator. 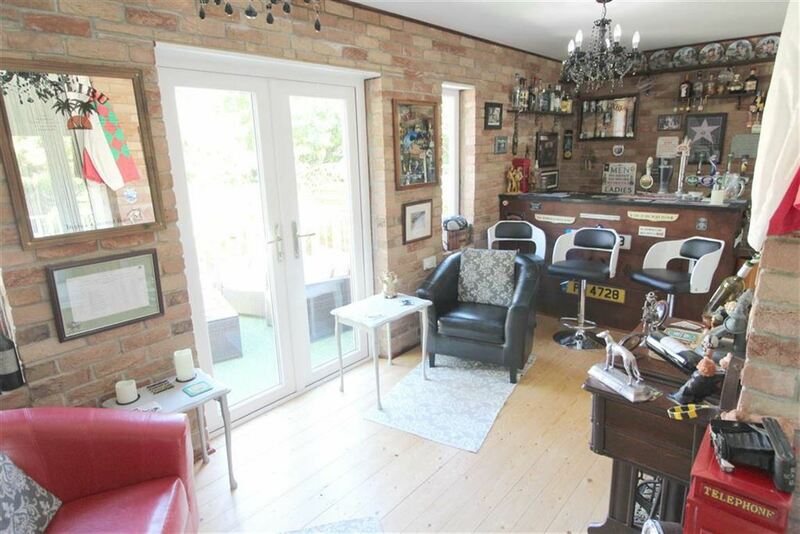 The property is approached across a substantial block paved parking area for 4/5 cars bounded by low brick walling on either side and offering access to an integrated garage measuring 15'3 x 9' (4.65m x 2.74m) with up and over door, light and power supply, security door to rear garden. 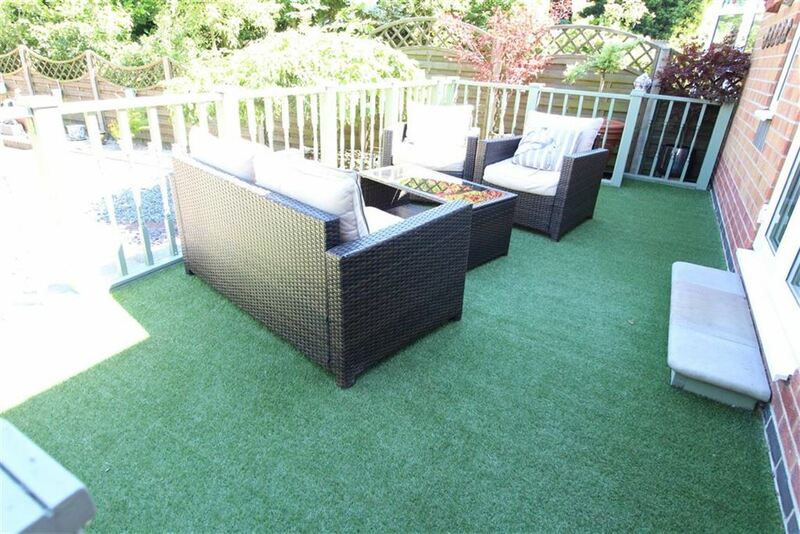 A large landscaped low maintenance garden features an elevated balcony patio area with balustrades and steps leading down various patios and gravel area elevations. 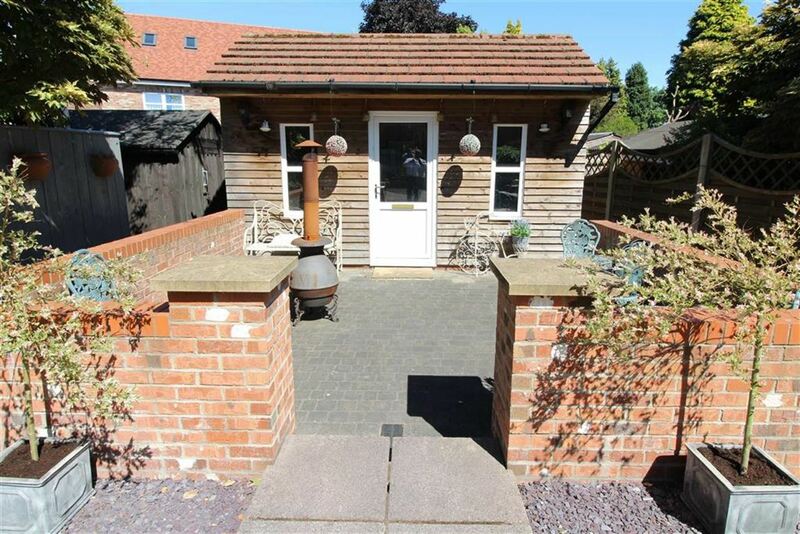 A fabulous summerhouse is the central entertainment zone with a walled patio and built in barbeque. Well stocked herbaceous borders are bounded by low stone walling. A wooden storage shed is discreetly positioned at the bottom of the garden. 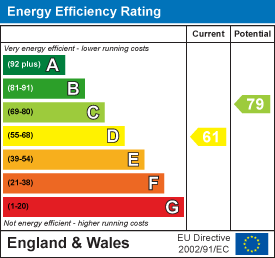 DOUBLE GLAZING - The property has the benefit of replacement PVC double glazed frames. We would be delighted to offer a FREE - NO OBLIGATION appraisal of your property. Our Award Winning Valuers will provide realistic advice in all aspects of the property market. Whether your property is not yet on the market or you are experiencing difficulty selling, all appraisals will be carried out with complete confidentiality.